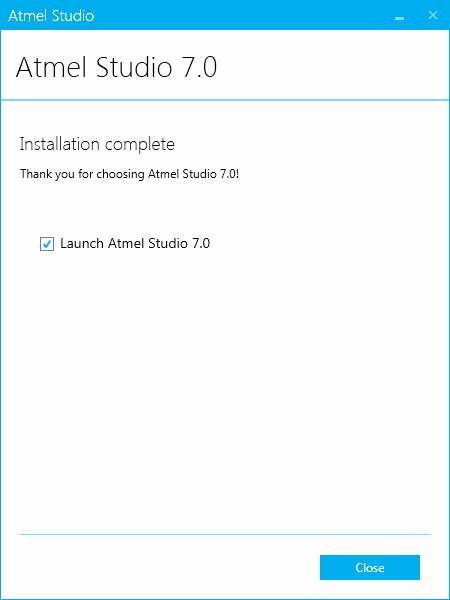 Download the Atmel Studio offline installer found at the bottom of the Atmel Studio page on the Microchip website. 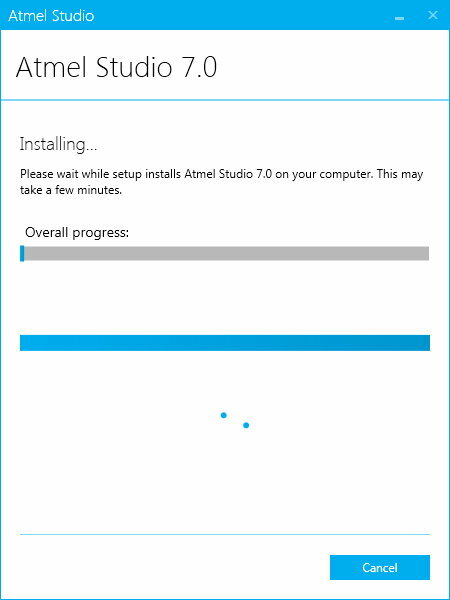 The following steps show how to install Atmel Studio 7 using the offline installer. 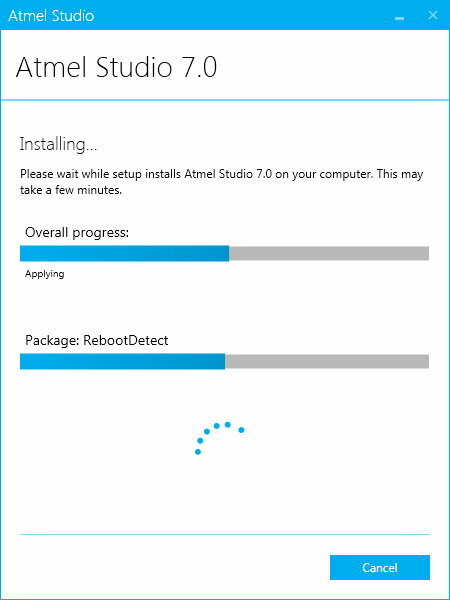 Double-click the downloaded Atmel Studio Installation file to start the installation. 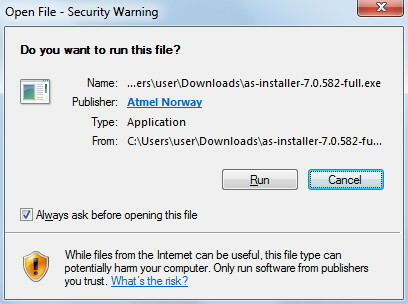 Click the Run button in the dialog box that pops up in order to proceed with the installation. 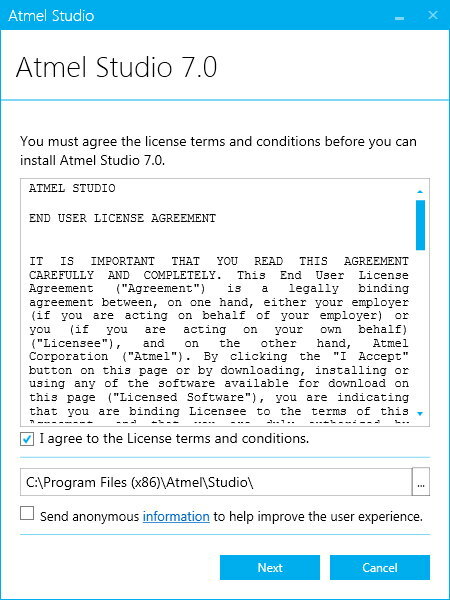 The license terms must be accepted to proceed with the installation. Leave the installation path at the default value. 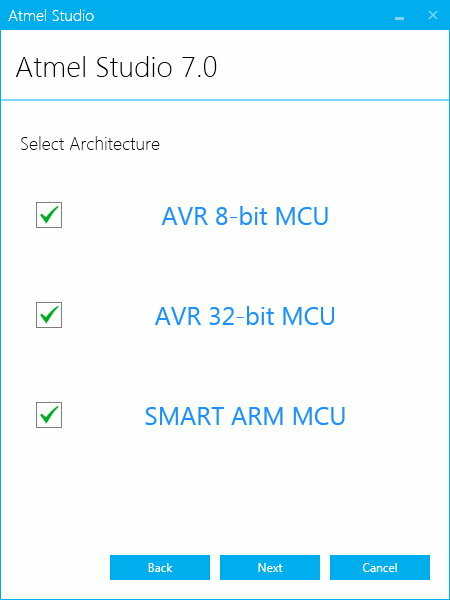 Only AVR 8-bit MCU needs to be selected when programming Arduino Uno and MEGA boards, but the other microcontroller architectures can also be installed in case you would like to program these microcontrollers at some stage. The only reason you would un-check the other microcontrollers is to save disk space and you are sure that you will never need to program these other microcontrollers. 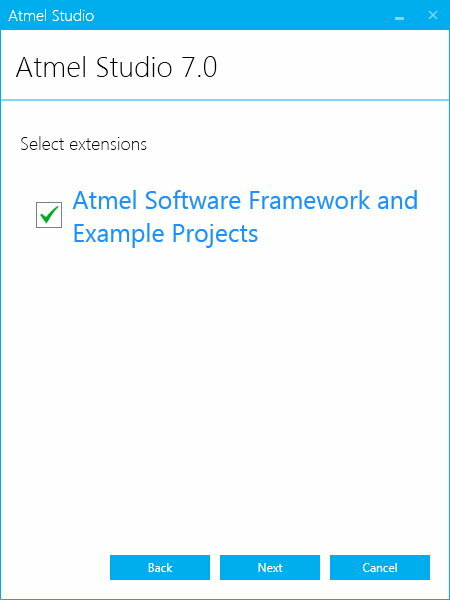 Optionally the ASF (Atmel Software Framework) and example projects can be installed. 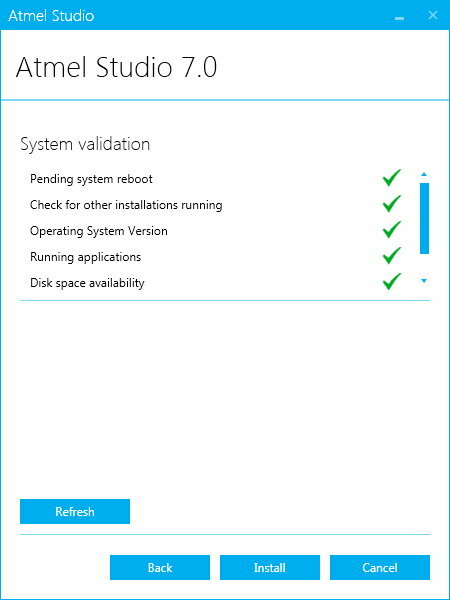 If the system validation checks are valid, then the Install button can be clicked to start the installation. The next dialog box shows the installation progress. 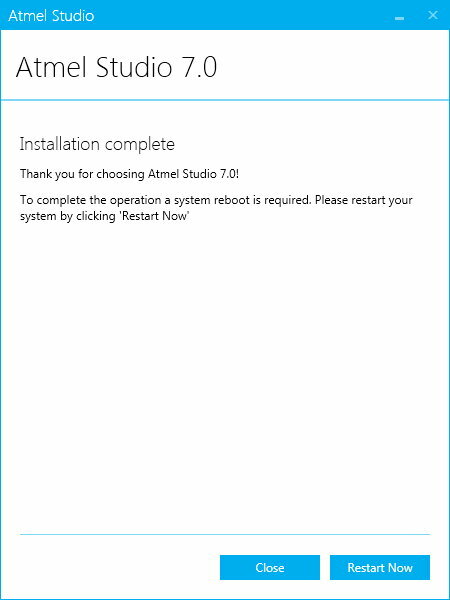 After installation the system will need to be restarted by clicking the Restart Now button. After restarting the system, installation will continue and then complete. Click the Close button after installation has completed.